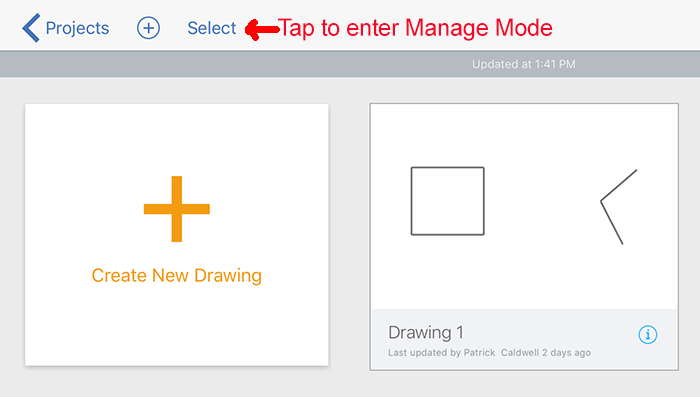 There are two ways to delete and copy/duplicate drawings. 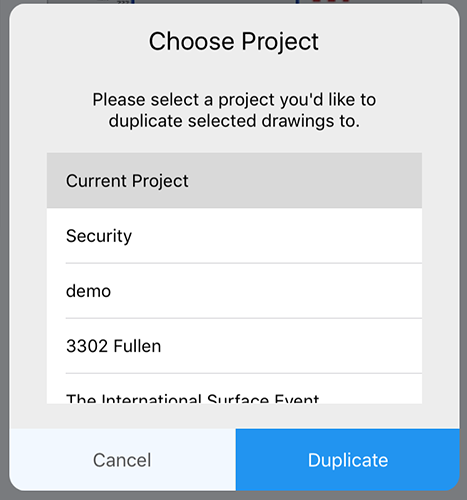 Individual drawings are deleted or copied/duplicated from within a project on the Drawings screen. In order to delete or copy a project you need to be in the "Manage" mode.